Join the Consortium of Latin American Studies Programs (CLASP) as it celebrates the 25th anniversary of the Américas Award with a live-streamed ceremony at the Library of Congress at 2:30 pm CST. 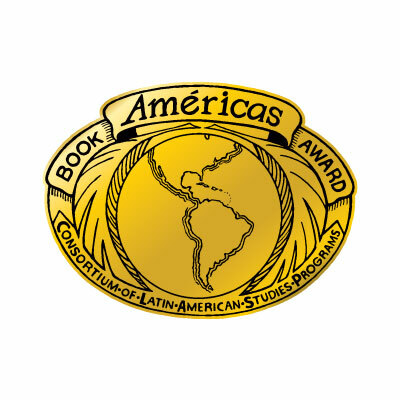 Each year the LAII is pleased to partner with CLASP and other universities around the country to support the Américas Award, which was founded by CLASP in 1993 to recognize exemplary children's and young adult literature related to Latin America, the Caribbean, and Latinxs in the United States. In 2018, we honor the award's history with a special ceremony at the Library of Congress as Ibi Zoboi, author of American Street (Harper Collins Publishers, 2017), and Duncan Tonatiuh, author and illustrator of Danza! : Amalia Hernández and El Ballet Folklórico de México (Abrams Books, 2017), receive the 2018 Américas Award. Join the Library of Congress in its live stream of the award ceremony. For more information about the award, visit the CLASP website.